Having the musical capacity to gain the respect and admiration of legendary rockers such as Lenny Kravitz, Bruce Springsteen & Tom Petty is no simple task. However it is possible with raw talent and lyrical honesty which transcends genres – just ask singer-songwriter Lissie. The soulful Michigan native has been fortunate enough to tour with all three of the legendary gentlemen by simply doing what she does best – rocking out. Dont be fooled by her high profile acquaintances, because Elisabeth Corrin Maurus aka Lissie is as genuine and down to earth as they come nonetheless. Residing in Ojai, Ca helps her depart from the oft pretentious setting of Los Angeles, which gives her the peace to create the sincere work her fans have come to love. With several successful EP’s and a brand new album Back To Forever just released, Lissie has managed to enjoy life on her terms while gaining the admiration from her peers and fans alike, which she so deserves. Press Pass LA had the pleasure of speaking with the passionate songbird just before her headlining show at The Fonda here in Los Angeles, Ca. PPLA: Hello Lissie, thank you for taking the time out of your packed schedule to speak with us! Your music is reminiscent of so many artists that were around when music was genuine and truly from the soul. Who were you influenced by musically and in your personal life that helped shape you into the opinionated and honest artist your fans connect with? Lissie: Thank you! I was inspired by Sheryl crow, Alanis morisette , Courtney Love , Janis Joplin, The Dixie Chicks and Liz Phair in the years I was teaching myself guitar and starting to write songs. I was writing about my feelings, observations and relationships, so “speaking my truth” which I think the artists I mentioned did in a really strong and proven successful way. Bobbie Gentry became a big inspiration to me in the last 4 or 5 years in that her songwriting is so visual. PPLA: In your song “Shameless” you speak about the world obsession with fame, and the hype that surrounds celebrities nowadays. Have you experienced that pressure to mold into what mainstream expects you to be? Whats your opinion on the Mileys and Gagas of the industry? PPLA: You’ve toured with Lenny Kravitz, Bruce Springsteen and Tom Petty which I’m sure taught you so much as a touring artist. What’s been the most valuable piece of advice you’ve received along your journey that has stuck with you? Lissie: I think witnessing the passion, work ethic and grace with which they all conducted themselves was really informative overall. No one piece of advice. PPLA: In my opinion “Back To Forever” is your best body of work so far, so what was the motive behind the title of the album and what was it like working with your band on the entire project? Lissie: Thank you! “Back to Forever,” the title track is about aching for a simpler past where the world was wide open and you had forever. It felt like a good album title because a lot of the songs are about reflecting on the past and lamenting all of “forever” not being ahead of me anymore, in getting older. I feel like this was a transitional album for me in that I am clear on where I’ve been and more aware of the urgency of deciding where ill go. PPLA: Does your writing process become easier as you grow and develop with each album? Lissie: Not easier but it’s changed. I sort of miss my old writing head space before I thought about how it’d be perceived and before the world had hardened me a bit. But I’ve grown to be a much stronger songwriter and better storyteller all the same. And the “hardening” has given me a real opinionated point of view. So I’ve lost something but also gained a lot! 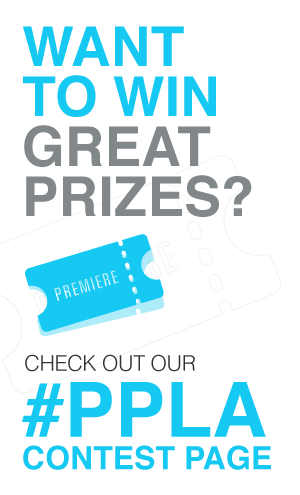 PPLA: Which artists in the industry would you like to collaborate with if you had the opportunity to do so? Your duet with Ellie Goulding was effortlessly amazing by the way! Lissie: I’d love to perform with Phish. I’d love to work with Damon Albarn. I’d like to form an all girl barbershop quartet. Press Pass LA has a game we play with artists we interview called “Take Five”. 1. Favorite Artist/Album from Illinois. 2. Favorite place to eat in Ojai, Ca? turned into a career if music hadn’t been your calling? We have a really sweet English fan who got a tattoo of me. He just seemed so genuinely happy to meet me and us and its a very strange but good feeling to be such a big and positive part of someone’s life. Lissie’s new album Back To Forever is available on Itunes now! And if you live in the Los Angeles area, tickets for her show at the Fonda this Monday December 9th are on sale now. Learn more & listen to Lissie here.